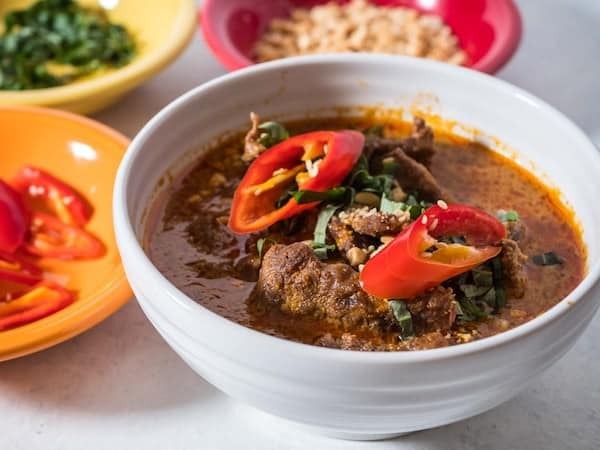 Most Thai curries are made with chicken and that’s okay – who doesn’t love chicken curry – but it’s always nice to try something different. This curry is one of my favorites, not least because it reminds me of travelling in Asia. Curries are not just tasty, they are loaded with very healthy ingredients. All those aromatic herbs and spices have healthful, and even medicinal, properties and can help fight infections. Think about it; before modern medicine, most illnesses were treated with herbs and spices. This curry is delicious, and it will fill your house with exotic aromas as it cooks. It makes a big pot of food which is ideal for sharing with your friends. I’ve found this recipe at the BBC Good Food site. Brown the meat in a lightly oiled frying pan. Next, blitz half the coriander in a food processor with the chopped lemongrass, garlic, chilies and ginger with the rest of the oil until you have made a rough paste. 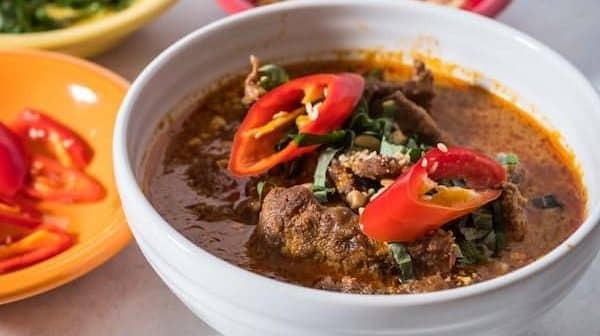 With your slow cooker on High, heat the paste for a few minutes and then add the beef plus all the remaining ingredients, except the last coriander and the lime juice. Switch your slow cooker to Low and leave for eight hours or until the meat cooked and tender. Add the remaining coriander and lime juice, stir well, and then season with a little more fish sauce. Serve with rice. A printable version of this recipe can be found at the original source here. Pictures credits to Dad Cooks Dinner. More ideas, get inspired, start preparing delicious homemade meals and avoid processed food. This simple step is the most effective way to lose weight. All my recipes organised here.